Was late to a last-minute meeting because in the two hours I’d already been at school it never even crossed my mind to check my email. Oops. Allowed about 20 noneducational tangents to take place while I was teaching. The old cliché is so true. I HEAR EVERYTHING. And I don’t mean being able to hear the kid with a naturally loud voice over everyone else; I mean being able to hear a student mutter something under their breath on the opposite side of the room during a fire drill. It is uncanny. When 40 hours of our week are lived out according to a strict bell schedule, it’s only normal for teachers to develop a superhuman understanding of time. Fellow teachers, here’s a challenge for you: Start a timer, then leave it and go do something in under an hour (fold laundry, give the dog a bath, eat two servings of Pop-Tarts, whatever). Estimate how long it took you, then check your timer. I’ll bet you weren’t more than a couple of minutes off in your estimation. I’ve only been teaching for five years, but the accuracy of my internal timer totally freaks me out on a regular basis. *Can’t be sure, but I estimate that 100 percent of urologists disagree with me. My mouth dropped open, both from realizing how easily I’d been duped and how effortlessly she’d detected it. Teachers fear nothing. Okay, maybe not nothing. Grading deadlines are always terrifying, as well as the idea of Valentine’s Day falling on a Friday. But other than that, there is very little that can shake a teacher. We give improv performances for 40 hours a week for the world’s toughest critics. We get sassed. Kids throw crayons at our heads. We’ve heard every insult known to man. Kids barf in our hands. Our hands! And yet every day, three-and-a-half million of us march up to the front lines—fearlessness or insanity, I wonder sometimes—and get the job done. 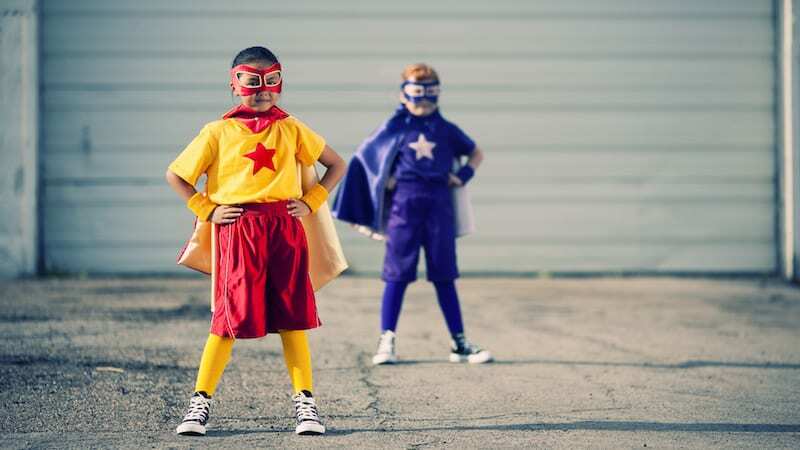 We’d love to hear—what teaching superpowers would you add to the list? Come and share in our WeAreTeachers Chat group on Facebook. Plus, 10 awards every teacher deserves. Love, Teach teaches English at a Title I middle school and writes about it at http://www.loveteachblog.com. In addition to teaching, she enjoys polar bears, recipes that feature caramelized onions, and Downton Abbey (apart from that one Sybil episode).